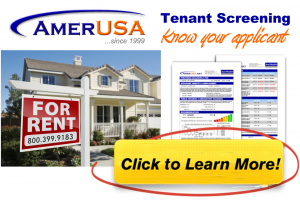 Screen Your Tenants: This is the most important step when managing rental property. A good tenant can make your landlord experience a dream come true, while a bad tenant can turn it into a nightmare. A service such as AmerUSA.com can assist in helping you obtain credit reports, criminal records, and eviction records in addition to other reports so you can feel comfortable when offering someone a lease. Use a Written Lease Agreement: It easy for some people to do business based on a single handshake, but if you don’t have a signed lease agreement, you lose a great deal of protection. Lease agreements allow landlords to specify their own terms and conditions. So if a tenant violates a provision, the landlord has the legal right to enforce it such as a pet policy, late fees, changing fixtures, etc. Have Adequate Insurance: In addition to a standard homeowners policy, landlords should have additional rental property coverage for tenant lawsuits, injuries, loss of rent, and even discrimination. Ask your agent. Handle Security Deposits Properly: Most states have specific laws addressing how much a landlord can collect, where to store it, and how to return it. 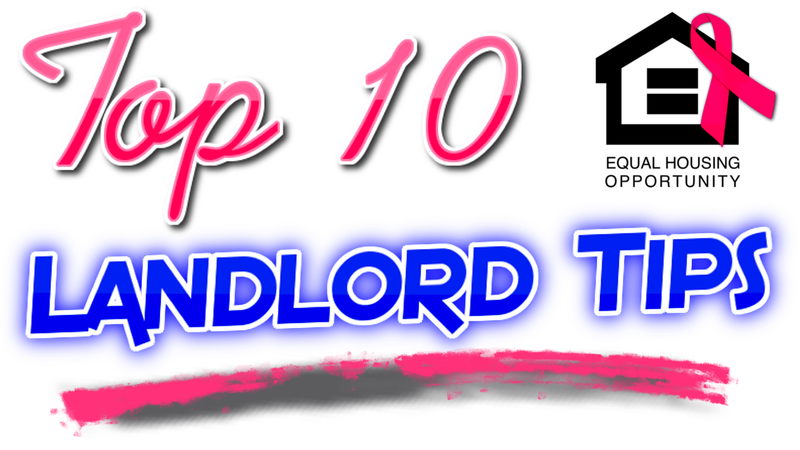 Visit AmericanLandlord.com for the laws of your state. Make Timely Repairs: Don’t ignore a reasonable repair request made by a tenant. Non-emergency repairs should be addressed within 1 to 2 business days so they don’t become immediate emergencies. Secure the Property: It’s important for a landlord to make sure the premises are reasonably secure by providing adequate lighting, deadbolts, lockable windows, and even gated areas (if necessary). Document Tenant Interactions: It might not seem that important now, but if things ever go wrong, you’ll be glad you saved written communications and made a summary of conversations if a lawsuit is ever filed. Save All Receipts: Don’t throw away any paid bills related to your rental property business. Almost every expense can be used to help minimize your taxable income. This even includes deducting gas for your car. Inspect the Property: It’s always a good idea to visit your property a few times per year to see how the unit is holding up and being maintained. However, do not show up without giving the tenant proper notice. Perform Routine Maintenance: It’s to a landlord’s benefit to be proactive by changing air filters routinely and performing any other tasks that may result in expensive repairs or purchases if ignored by tenants.